CHICAGO (WLS) -- "You killed my baby" was shouted during the court appearance of a Chicago man whose car slammed into a stroller, killing the toddler inside. 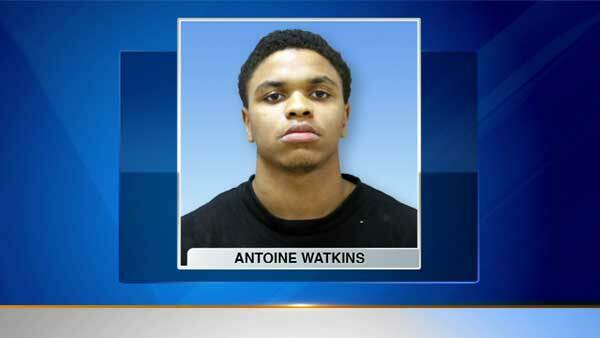 Antoine Watkins, 21, was held without bail in connection to the death of Dillan Harris, 13 months. Watkins was fleeing the scene of a fatal shooting when his vehicle jumped the curb and struck Dillan Harris, 13 months, on the city's South Side over the weekend, police say. Watkins was involved in the drive-by shooting death of Marvin Carr, a 22-year-old rapper known as "Capo," at 1:45 p.m. Saturday in the 7700-block of South Kingston Avenue in the South Shore neighborhood, police said. He was trying to elude police officers when his car struck Dillan in the 6300-block of South Ellis Avenue in the Woodlawn neighborhood, officials said. The shooting and crash happened about three and a half miles apart. Cook County Assistant State's Attorney Jennifer Cooper said an off -duty aviation department officer heard gunfire and saw Watkins get into an auto and drive away. Chicago police later caught up with the vehicle. Watkins stopped the car, but then sped off when officers got out of their cars. Watkins' vehicle jumped the curb and slammed into the stroller. Dillan was taken to Comer Children's Hospital, where he later died. Watkins, of the 8100-block of South Bennett Avenue, is charged with murder and misdemeanor fleeing or attempting to elude police. He was also issued citations for driving without a license or insurance. He was held without bond on Monday. No charges were filed in the death of Carr. The shooting and the crash remain under investigation.